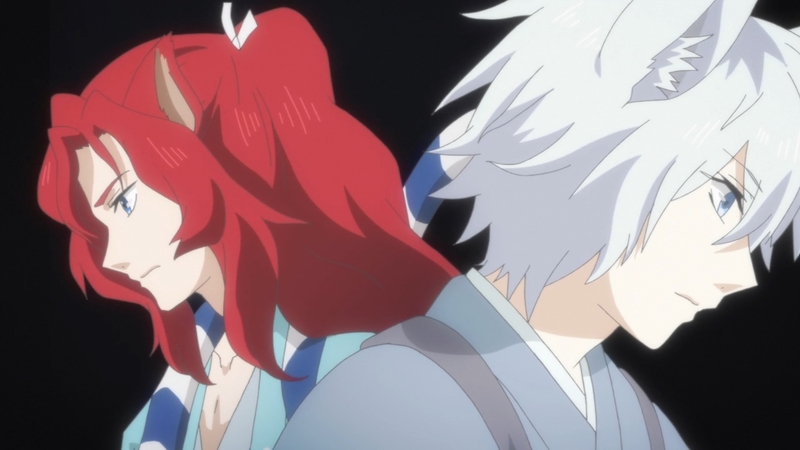 Kakuriyo no Yadomeshi Ep. 20: Whoa, what’s going on here?! Yamete kudastop! You can’t kiss her! This is rated E for everyone! — Don’t worry about the kiss, because for some reason, Odanna backs out at the last second. He got the golden opportunity to make some serious progress in his relationship with Aoi, and he threw it away. Don’t ask me why. But we’ll get to all of that in a bit. 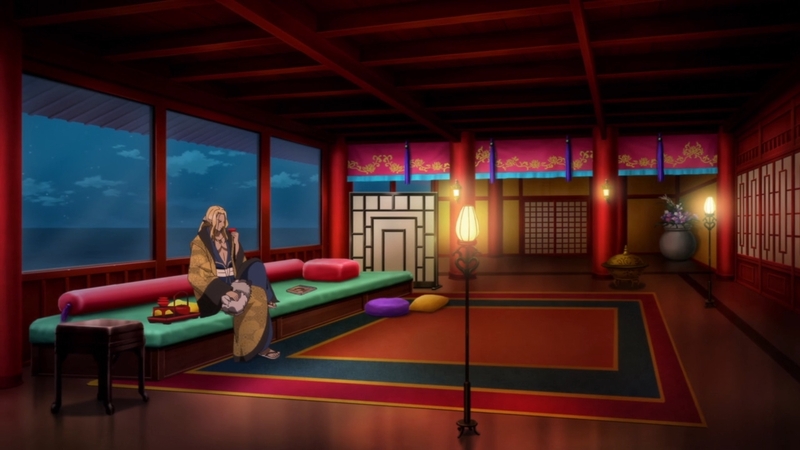 — First things first, we have Raiju sitting in an empty room, talking to himself about Aoi. Dude has no friends. — Hell, he doesn’t seem to have much of a life either. Why do I say that? Well, he confesses to himself (to us?) that he was the reason the ceremony failed 300 years ago. He was the one who betrayed Princess Iso, and it looks like he wants to muck things up again. C’mon, who sits around for three centuries to have another opportunity to ruin lives? 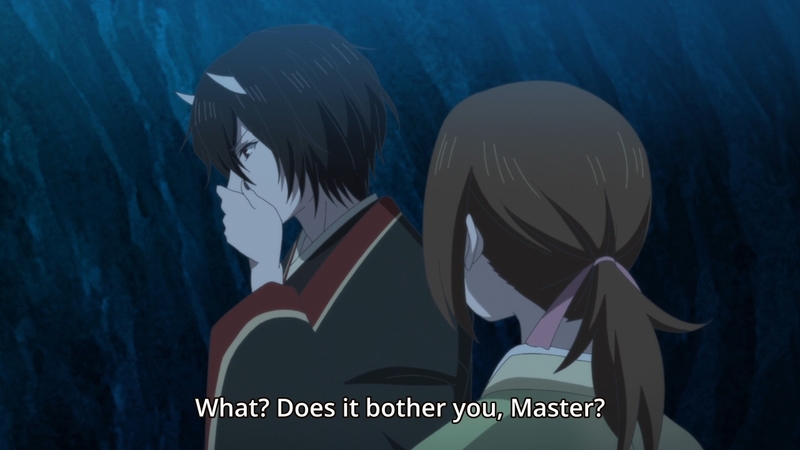 Raiju’s a sociopathic loser. 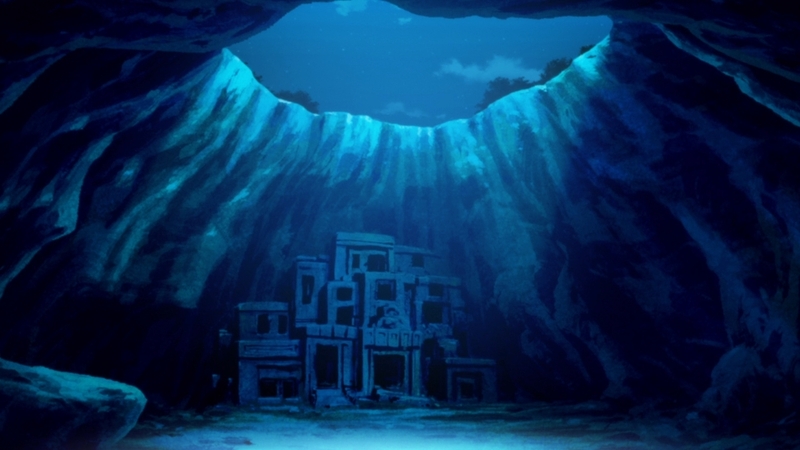 — Anyways, in case you’ve already forgotten, Aoi’s current task is to retrieve the legendary mermaid scale from the Dragon Palace! Why? ‘Cause the Umi-bouzo wants one, that’s why! 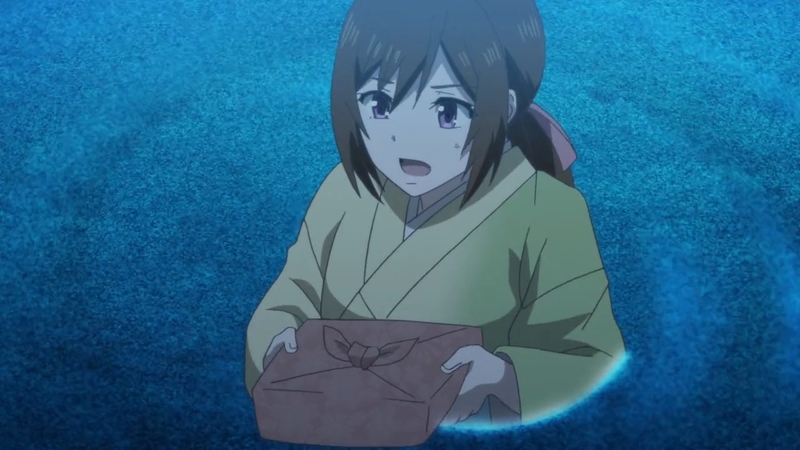 — And since every damn problem in this anime is solved with food, Odanna suggests that Aoi whip up some sweets just in case. 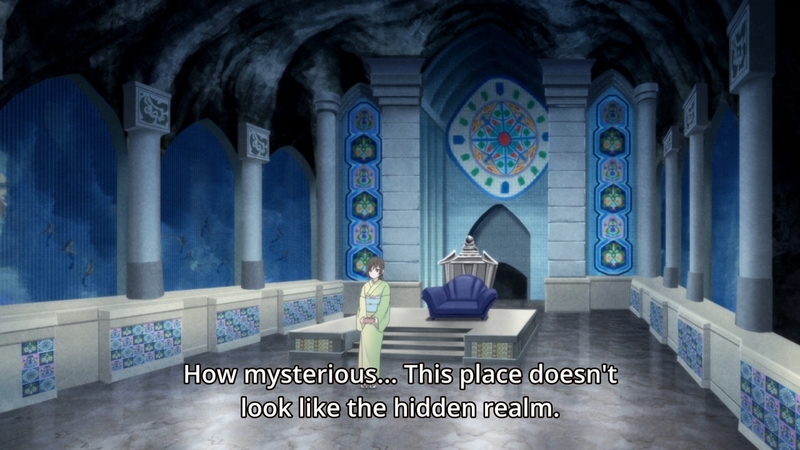 — The Dragon Palace sits inside a cave, and it looks pretty shabby. Nevertheless, our heroine finds it beautiful. Shrug. I’ve given up on understanding Aoi a long time ago. — Although the miasma won’t hurt Odanna like it did with both Ginji and Ranmaru, he still finds it unpleasant. — It doesn’t take long, however, before trouble comes a knockin’. Aoi starts hearing a mysterious voice call out to her (look at her goofy face), and before she knows it, she finds herself whisked away again! This girl is always being spirited away by one person or another. 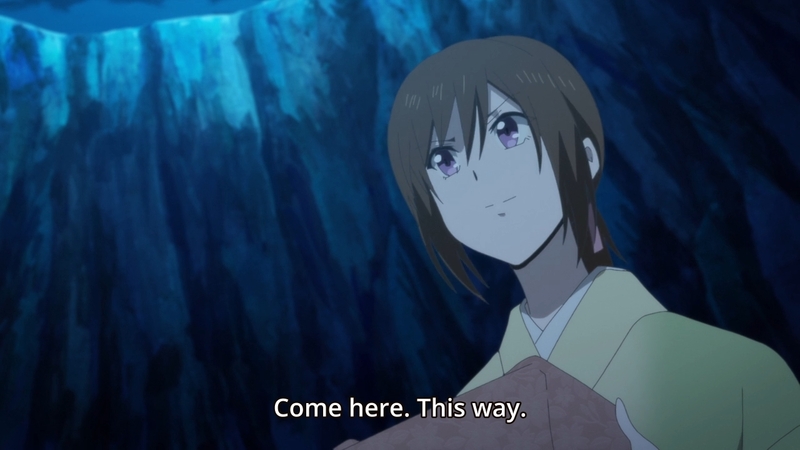 — This lady then shows up outta nowhere to greet Aoi. 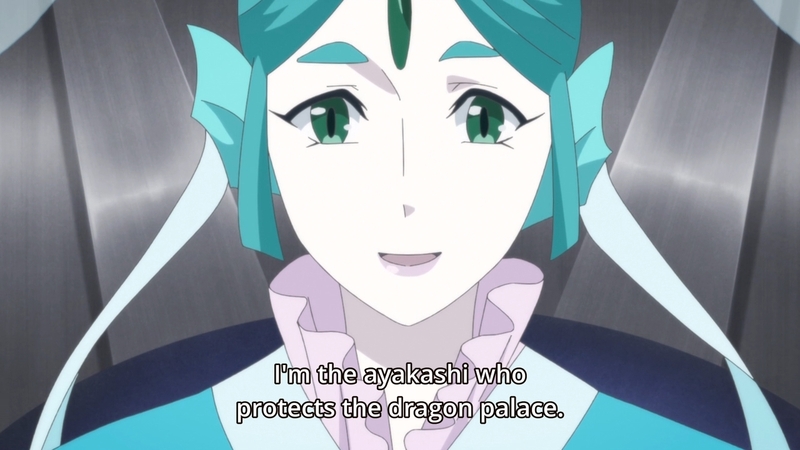 If you’ve been paying attention to the show, you should recognize her as none other than Princess Iso. 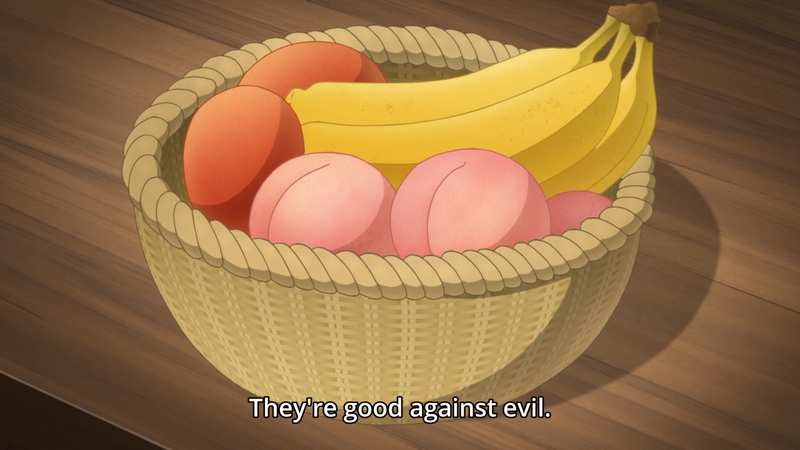 But god, this anime is so boring, I haven’t been paying any attention at all. 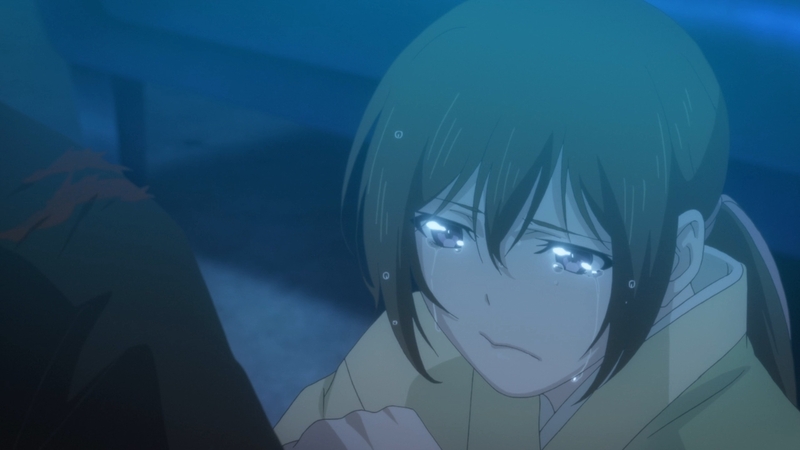 So when she revealed her identity to Aoi, I was actually a tiny bit surprised. — The two women proceed to drink tea and eat those sweets Aoi had whipped up earlier. When in doubt, cook. In fact, that’s exactly what Aoi’s going to do. 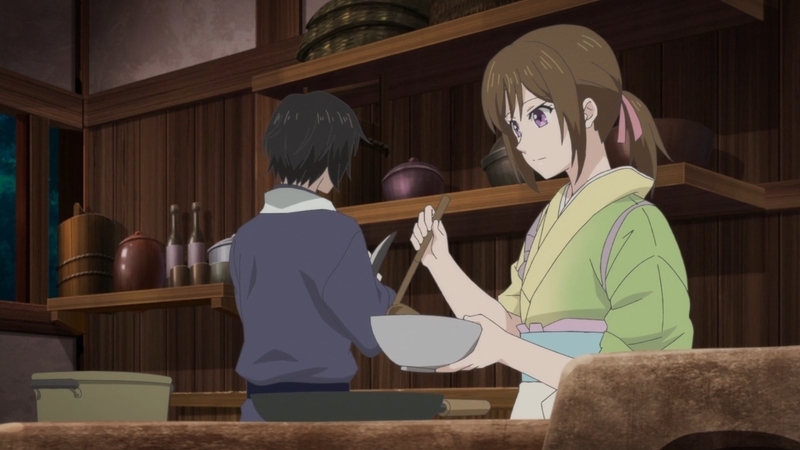 Iso wants our heroine to also lend a hand with the “dishes made of ocean treasure.” I mean, we already knew she would be doing the cooking for the ceremony, but now it’s official. — Iso isn’t really alive. She, too, is a bit like an illusion. What Aoi sees in front of her is Iso’s… thoughtform…? 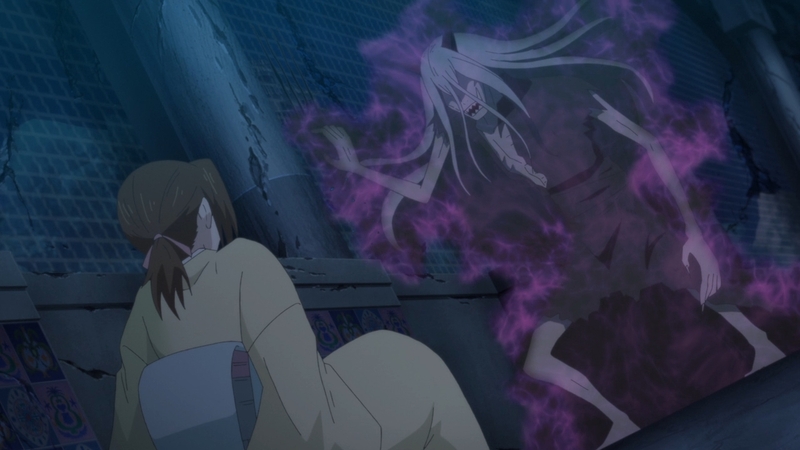 I’m just gonna call her a spoopy ghost. She’s concerned about Ginji and Ranmaru, because the two furry bros used to be so close. 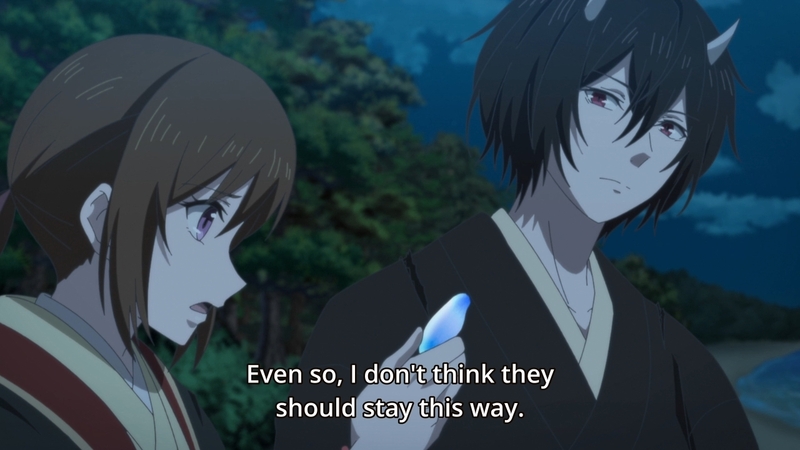 Unfortunately, they are now looking in opposite directions, which is the anime’s trite way of visually conveying their differences. In essence, Iso can’t rest in peace because her two boys are at each other’s throat. So what makes her different from any other restless spirit? 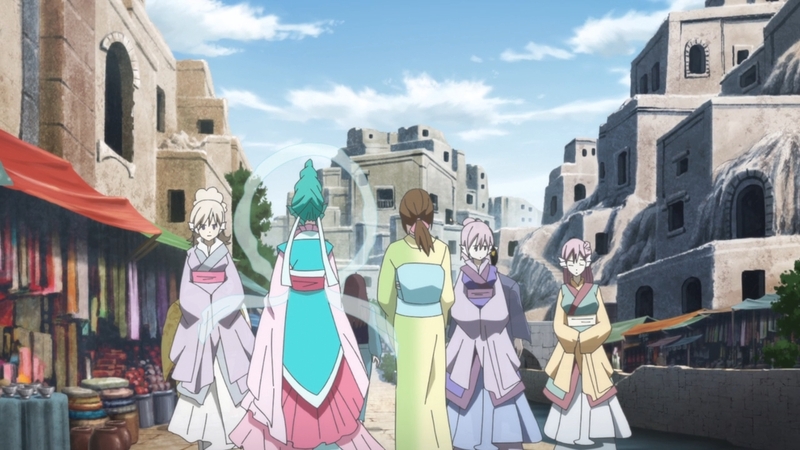 — In the end, Iso sends Aoi back to the real world where the Dragon Palace looks all shabby again. But on the bright side, the mermaid scale is just sitting on the wall, waiting to be plucked like a fruit. — Unfortunately, there’s also this cryptkeeper. 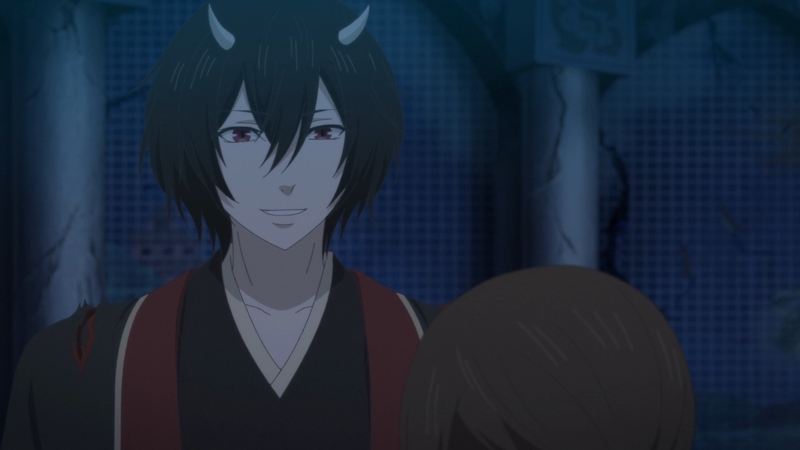 This dude is apparently an ogre who has been feeding on both the miasma in the palace and children. Y’see, I don’t really understand this dude’s presence in the story. He just happens to be chilling out here in the Dragon Palace? Iso must have known about him, right? 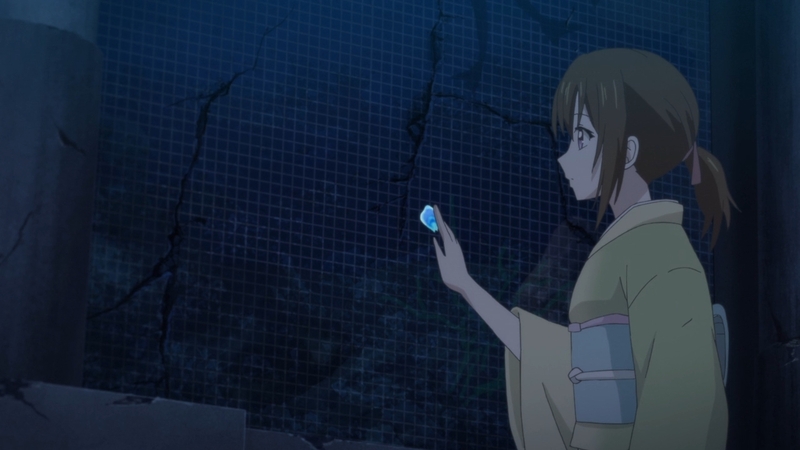 And yet she still snatched Aoi away from Odanna, thereby placing the girl in direct danger! Plus, for a so-called guardian, she doesn’t seem to mind some dude eating children within her wonderful palace. 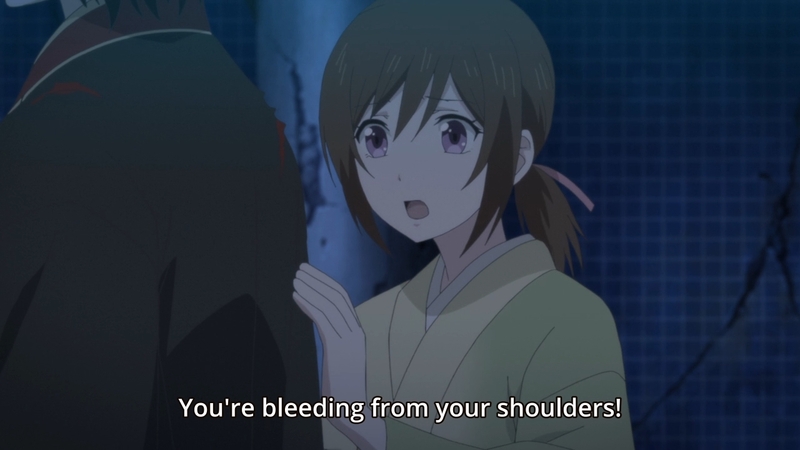 — Luckily, Odanna is here to protect his waifu. You could even argue that Iso saw this coming ahead of time, but that isn’t a very satisfying explanation. 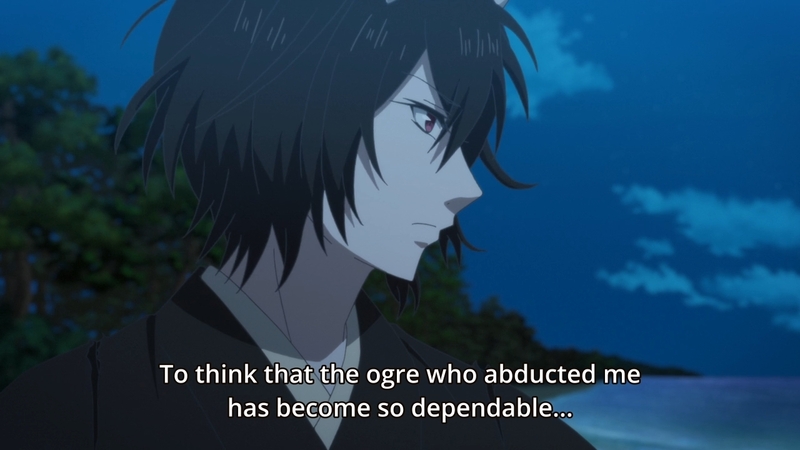 — In truth, the evil ogre only exists to give Odanna a reason to rescue Aoi. Remember: she helps everyone but Odanna. On the other hand, he always has to protect her. This is the story’s flimsy way of generating romance. Aoi and Odanna have no chemistry whatsoever as a couple, so the only way for them to find themselves in a romantically compromising position is if the girl is in danger. — So Odanna stabs the evil ogre, but not before the latter draws blood with his nasty nails. 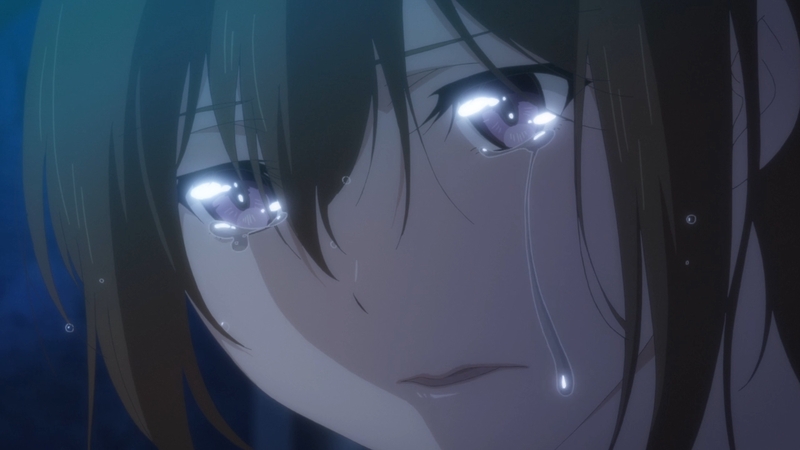 Seeing this, Aoi breaks out in tears. She can’t do anything for Odanna. She can’t protect him, she can’t protect herself, she can’t treat his wounds, so on and so forth. It’s so sad. It’s oh so sad. — Except if you’re going to have an emotional moment, try not to make our heroine look like a goober. Seriously. — So this is how we got the almost kissing scene. 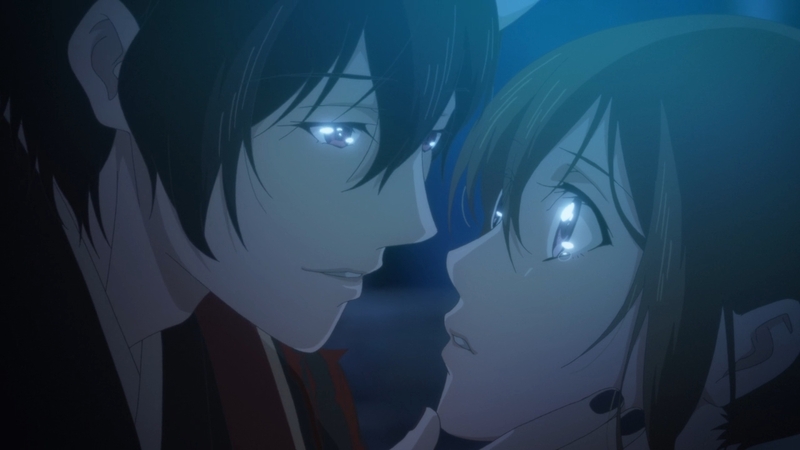 Odanna wipes away Aoi’s tears, then for a brief moment, it looks as though he’ll plant a big, fat kiss on her lips. She wasn’t going to stop him either! She was going to go with the flow, and then deal with the aftermath later. You even have an insert song and everything! 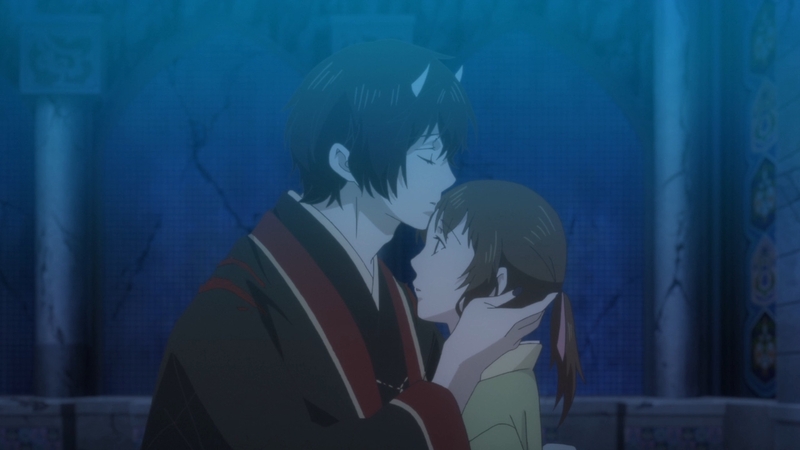 But for some reason, Odanna decided instead to just kiss her on the forehead as if she was his daughter. Why? — Even Aoi is disappointed that the kiss never happened. She’s so disappointed that she can’t even cry anymore. — Meanwhile, Odanna just has a dumb grin on his face. 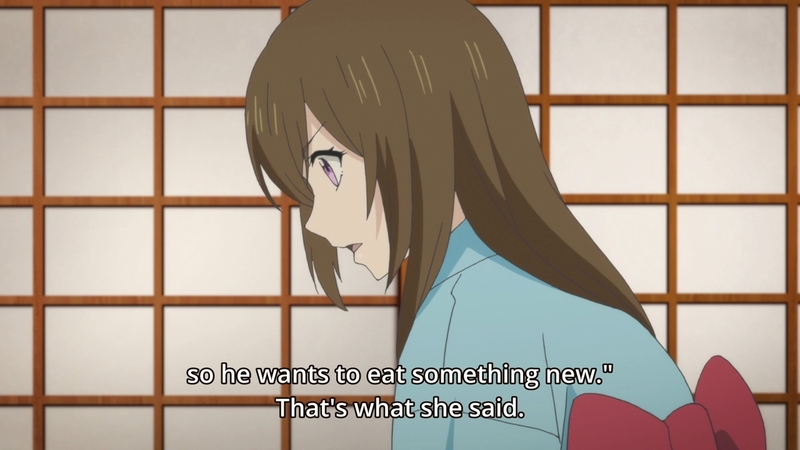 — Anyways, Aoi tells Odanna that she’s determined to fix the relationship between Ginji and Ranmaru. 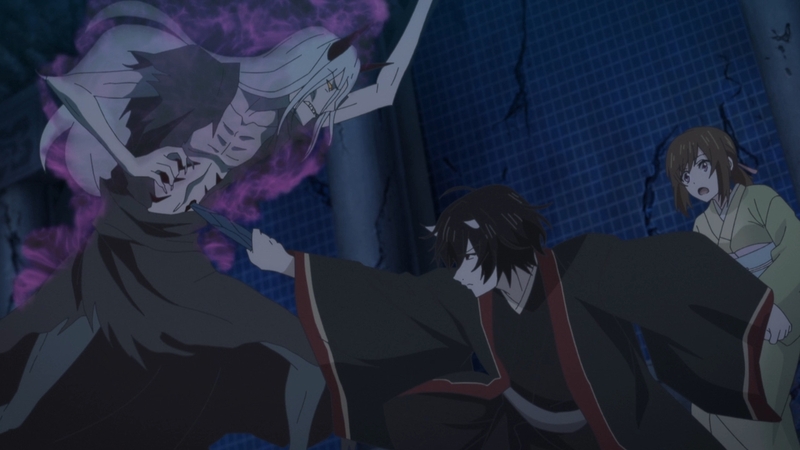 Odanna warns her that if she succeeds, Ginji may end up staying at Orio-ya, but Aoi claims that such an outcome wouldn’t bother her. 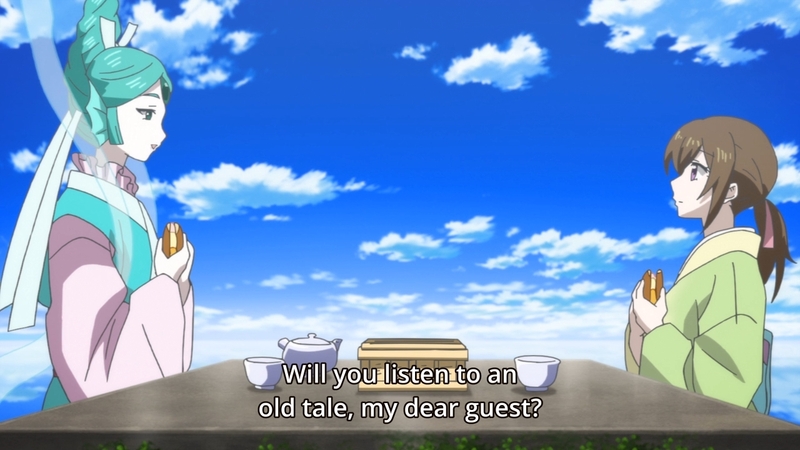 But c’mon, I really doubt Ginji would leave Aoi’s side if he had a choice in the matter. 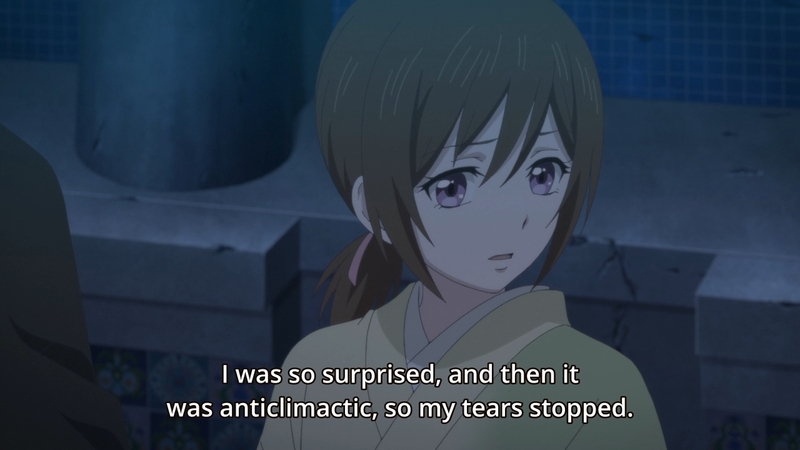 — When Aoi returns to Orio-ya, she finds a pissed-off Ginji. He’s furious at Ranmaru for allowing our heroine to endanger herself. In fact, he doesn’t want Aoi to have anything to do with this ceremony. Well, it’s too late, buddy. She’s already responsible for like… what? 60% of the ceremony? And she already plans to take over the fifth and most important part of the ceremony. — Ranmaru readily accepts Aoi’s offer, but he has to act all tsuntsun about it. They only have one shot at this every three centuries. As a result, he’s not going to just wing it. If he allows Aoi to participate, it means this decision had already been made a while ago (probably by Ougen-douji). 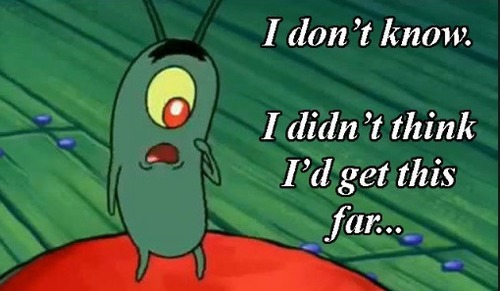 — So why will Aoi succeed? Well, we’re told that the Umi-bouzo is tired of Hidden Realm food. 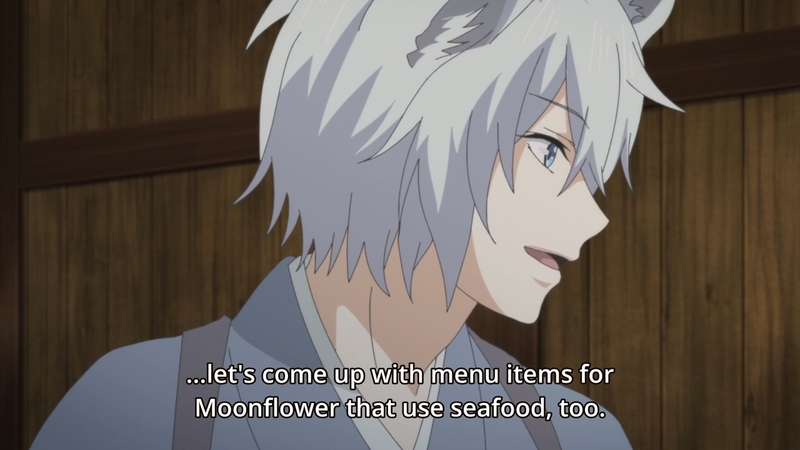 Aoi’s eclectic blend of human and ayakashi cuisine, however, might tickle the cursed ayakashi’s palate enough that it won’t murder million of lives. Fantastic. 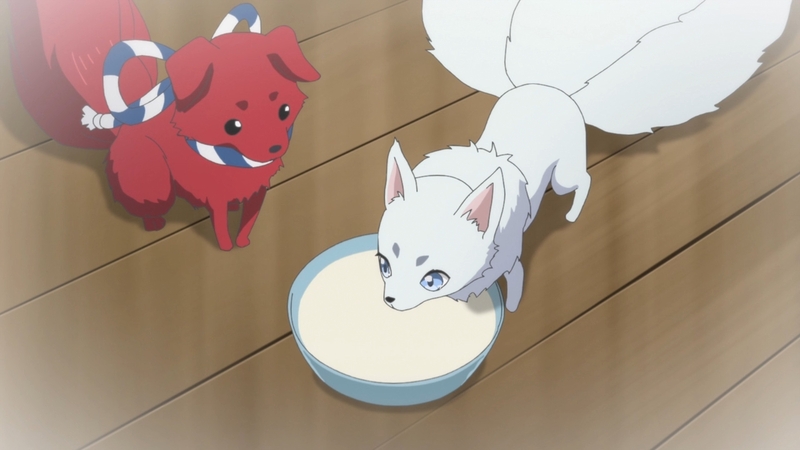 — In the end, Ginji is reunited with Aoi when Ranmaru assigns him with all the cooking. Nevertheless, he talks as if he intends to return to Tenjin-ya someday. — Much like the kiss that never was, the episode just kinda ends on that anticlimactic note. We have four episodes left? 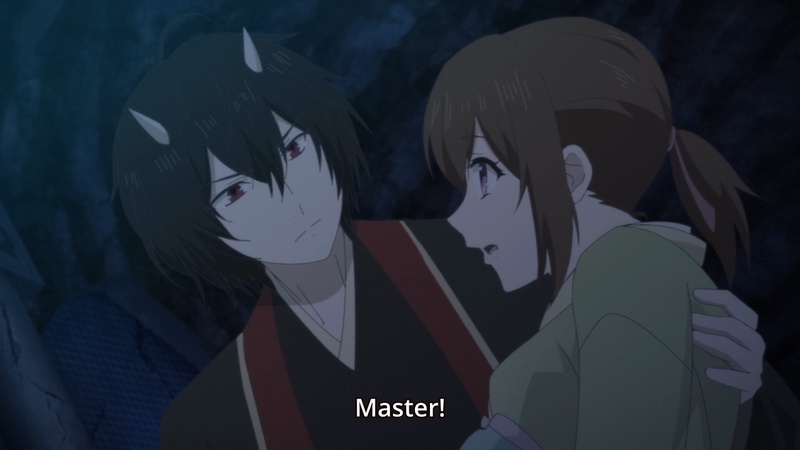 And Raiju still wants to be a jerk and screw up the ceremony, right? I bet you he won’t even go to jail for it or anything. It boggles my mind how totally awful this show is. I figured you would’ve given up on it a long time ago. After a long run of awful episodes… They managed ti surprise me with just how awful this one ended up being.